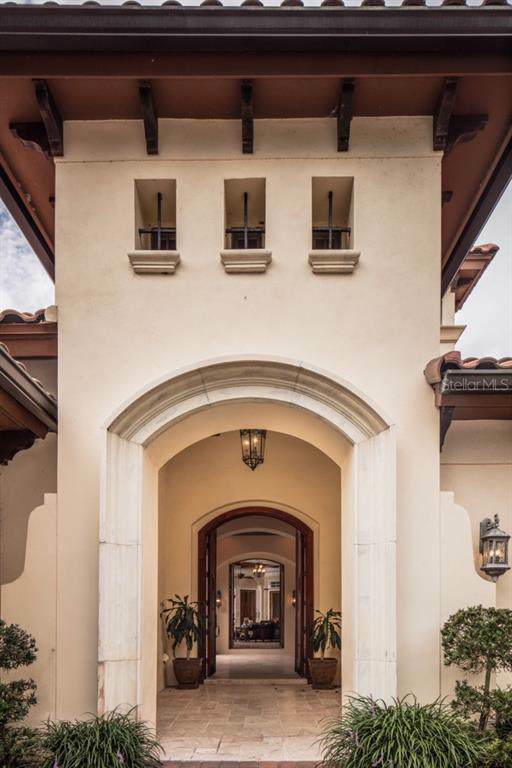 Nestled within the gates of the renowned Isleworth Golf & Country Club, this beautiful home within the Gardens of Isleworth an intimate enclave of custom homes surrounded by lush gardens, water features, bridges and walking paths. 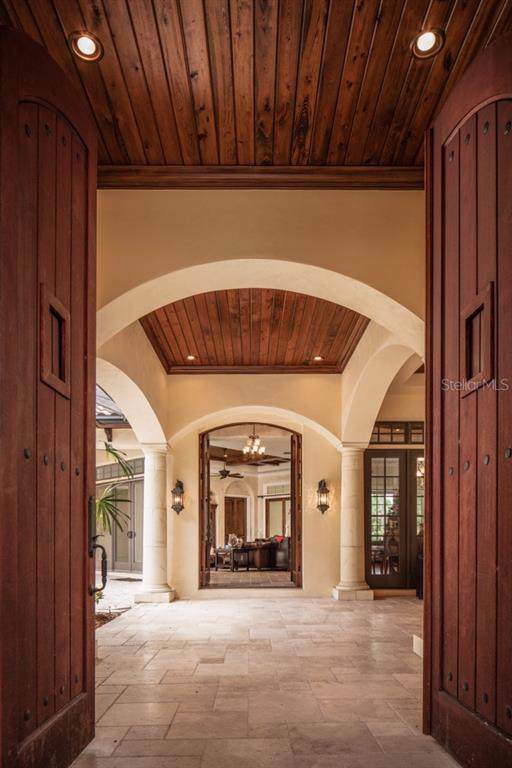 The covered entry features rich, wooden French doors that reveal an intimate courtyard with a sparkling pool, large summer kitchen and a spacious lounge area with fireplace. The main home features an open floor plan adorned with exquisite finishes throughout more than 3,600 square feet of living space. Celebrating the best in indoor-outdoor living, many of the interior areas offer glass doors that open to expand the rooms outward. Beyond the formal dining room, the open great room offers a beautiful built-in media center and is conveniently located near the center-island kitchen. Complete with smooth, granite countertops and elegant wood cabinetry, the kitchen boasts professional appliances including a Fisher & Paykel range along with a walk-in pantry and spacious casual dining area. The home offers four en-suite bedrooms, including a private, detached guest cabana and a large master suite with dual vanities, a walk-in shower, garden tub, and a spacious closet with center island. Completing the interior, the home offers two garages with plenty of storage and space for three cars or multiple golf carts. In addition to the private courtyard, the home boasts a lovely patio located off of the living room that perhaps best captures the lovely water and garden views. Additional Water Information The Gardens Of Isleworth is A Small Group Of Private Homes Within Isleworth Encircled By Walking Paths Beautiful Gardens And Sparkling Water. The Community Has A Private Boat Ramp For Residents With Access To The Butler Chain Of Lakes.